Learn about the roots of Muslims and Islam in America through a series of events with scholar Umar Faruq Abd-Allah. 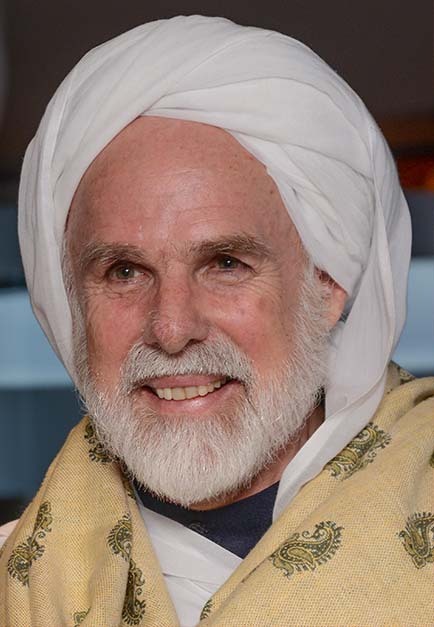 Dr. Umar Faruq Abd-Allah (Wymann-Landgraf) is an American Muslim, born to a Protestant family in Columbus, Nebraska. He grew up in Athens, Georgia, where both of his parents taught at the University of Georgia. He did his undergraduate work at the University of Missouri with dual majors in history and English literature. In his last year there, he won a Woodrow Wilson Fellowship and entrance to Cornell University in Ithaca, New York to pursue a Ph.D. program in English literature. Shortly after coming to Cornell, Dr. Abd-Allah read The Autobiography of Malcolm X, which inspired him to embrace Islam. He subsequently altered his field of study and transferred to the University of Chicago, where he studied Arabic and Islamic studies and received his doctorate with honors for a dissertation on the origins of Islamic law, “Malik’s Concept of ‘Amal in the Light of Maliki Legal Theory.” He taught at the Universities of Windsor (Ontario), Temple, and Michigan. He then went to Spain to teach Arabic in Granada. Two years later, he was appointed to the Department of Islamic Studies at King Abdul-Aziz University in Jeddah, where he taught Islamic studies and comparative religions for several years. During the time he spent in Jeddah, Dr. Abd-Allah was able to study with a number of traditional scholars. He then returned to the United States in 2000 under the auspices of the Nawawi Foundation (Chicago). He taught Islamic Studies at Darul Qasim Institute (Chicago) from 2012 to 2013 and Chicago Theological Seminary at the University of Chicago. He is currently engaged in independent research, writing and teaching activities with institutions across North America, Europe and Africa with a focus on Islamic Theology.